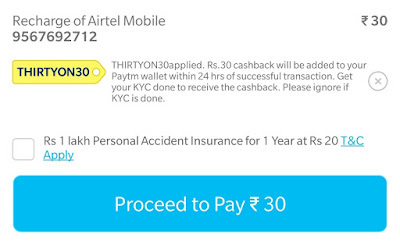 Cashback For Account Specific 2018 – Paytm THIRTYON30 Offer – Get Flat ₹30 Cashback On Rs.30 Or Above Bill Payment Or Recharge Through Paytm App. Old & New Both User Can Use This Offer On Doing Recharge (Term & Conditions Apply) So Now Get 30 Discount On 30 Or Above Recharge / Bill Paying. So Let’s See This Awesome Cashback Loot Offer. 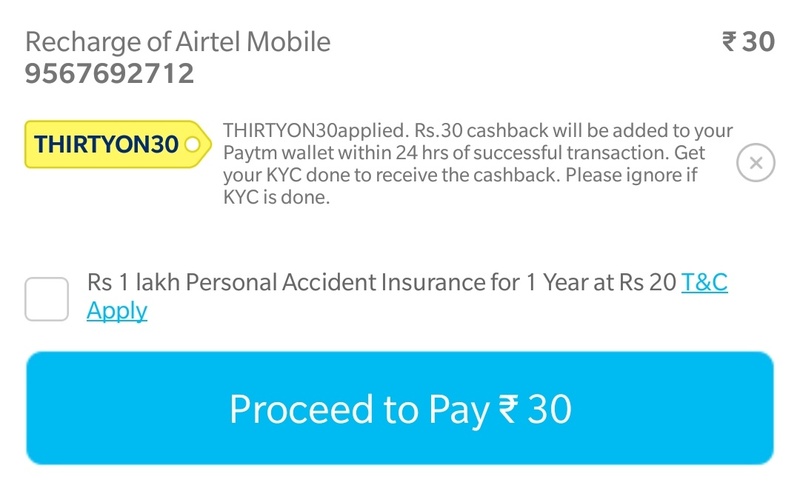 Paytm New Promocode Launched – THIRTYON30 Using That You Will Get Flat 30 Cashback On Every Mobile Recharge Or Bill Payment. Minimum Transaction Value Should Be 30. Hello everyone i hope you all are guys doing rock by getting our latest Free Recharge Tricks and best working and most popular Free Paytm Cash, today we cone up with THIRTYON30 Cashback offer that will paying you extra 30 Cashback on recharge or bill payment. 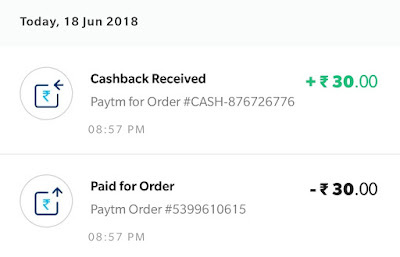 On our previous post we publish a amazing paytm Cashback article where we find out all active Promocode & using those code you can get up to 500 free Recharge on a single sim card. but thirtyon30 offer is just a discount offer so separately we writing this article. 6. After Applied It Successfully Continue To Next Page & Make Payment Through Wallet Bank, Debit Card, Credit Card. This was complete offer of 30 Cashback hope you everyone will enjoy the offer. If you facing any issues then must asking us ob Below Comment box. We will back soon with a another Monthly20 similar offer till then keep visiting on our blog keep earnings. Paytm usually provides cashback when a promo code is used. You can get the promo code from the paytm app itself, before payment page.